Were looking forward to launching Magda Archers new book What the stars buy! next month, and are posting a few previews here over the next few weeks. What the Stars Buy! 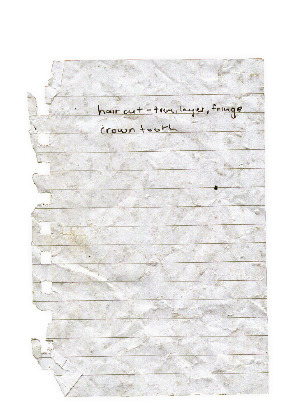 is a collection of over 100 found shopping lists by Magda Archer and and the celebrities - shes pretty sure - they belong to. Click here for more info or to order a copy.